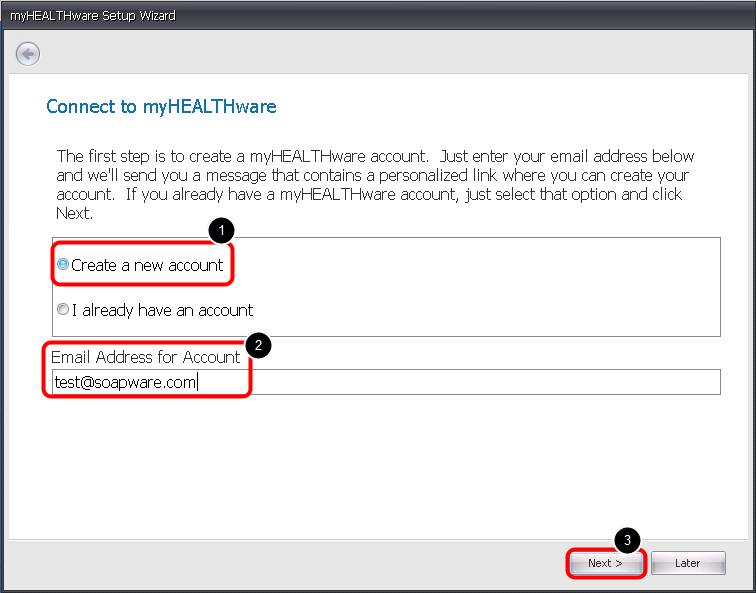 *Note: Each staff member will need to create his/her myHEALTHware account using the Account Setup Wizard, from within his/her own SOAPware account. 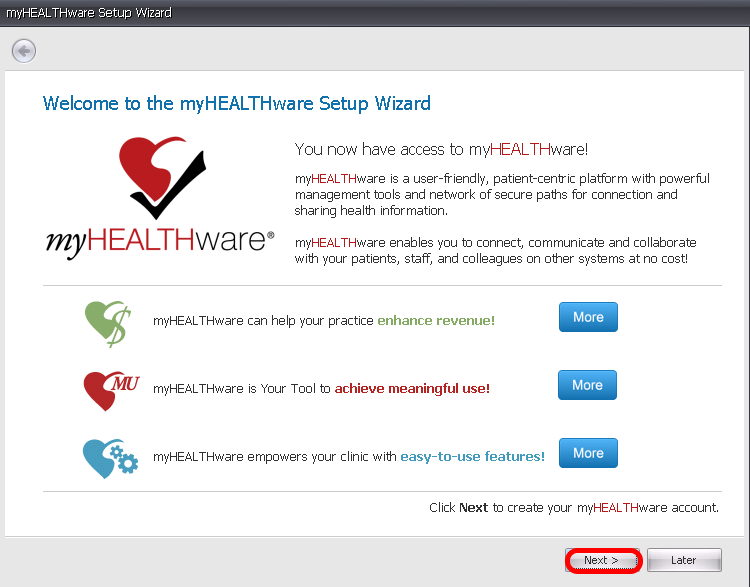 The myHEALTHware Account Setup Wizard will allow you to create a myHEALTHware account and connect to your clinic's myHEALTHware organization using the step-by-step wizard. Select I already have an account. Click Next and scroll down to the third step in this lesson: 3. Log in to myHEALTHware. Select the Create a new account button. 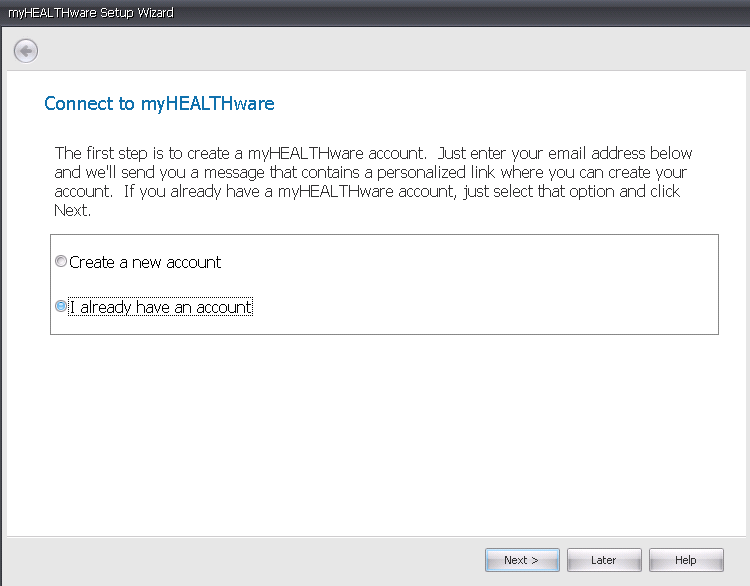 *Note: If you already have a myHEALTHware account, please select the I already have an account button to log in. *Note: Staff members will have 5 days from when an email is sent to the address provided in this step, to accept their invitation, in order to complete the process for getting his/her myHEALTHware account set up. Should these 5 days pass, the staff member will need to click here to see the steps to take to resend themselves another invitation to their email address. 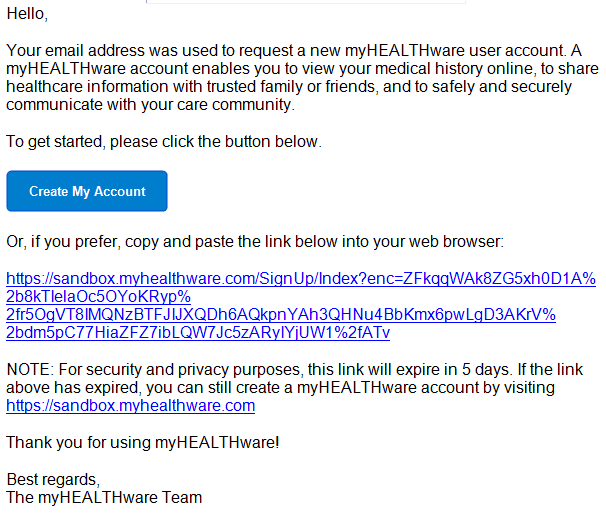 Please check your email inbox for an email from myHEALTHware.com. 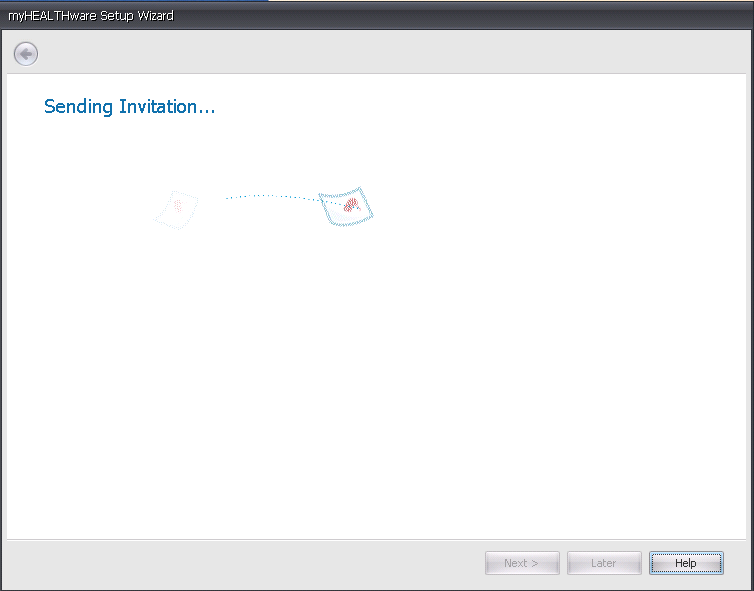 Be sure to check your email program's "junk" or "spam" folder if you don't see the message in your regular inbox. 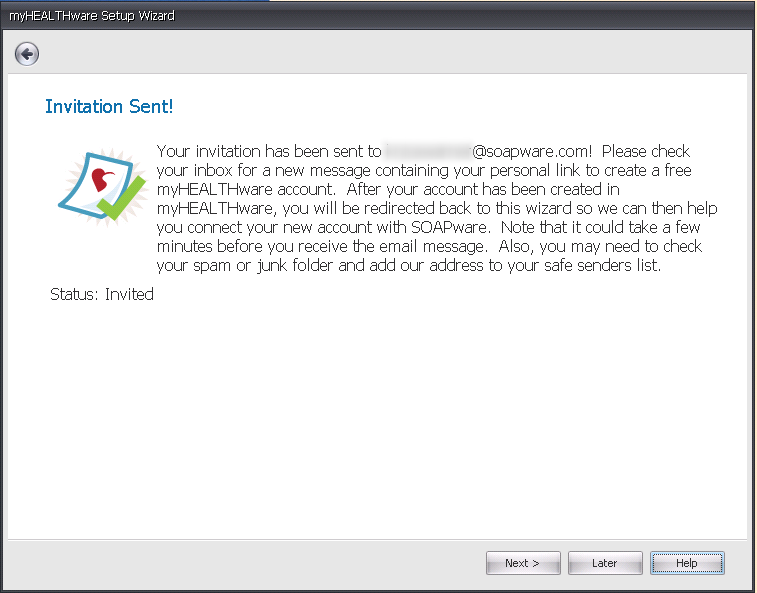 Check your e-mail inbox and open the message from myHEALTHware. 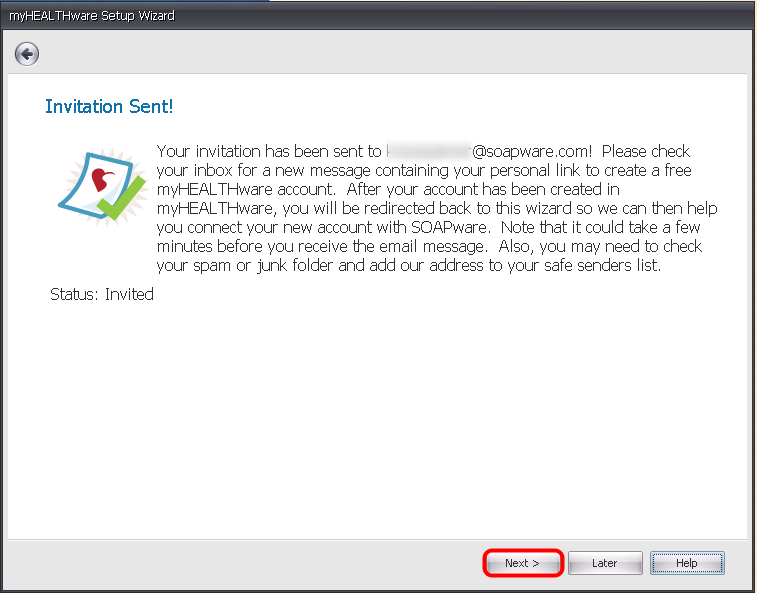 Click Create My Account to complete your myHEALTHware Account Setup, or copy and paste the link contained within the invitation email. 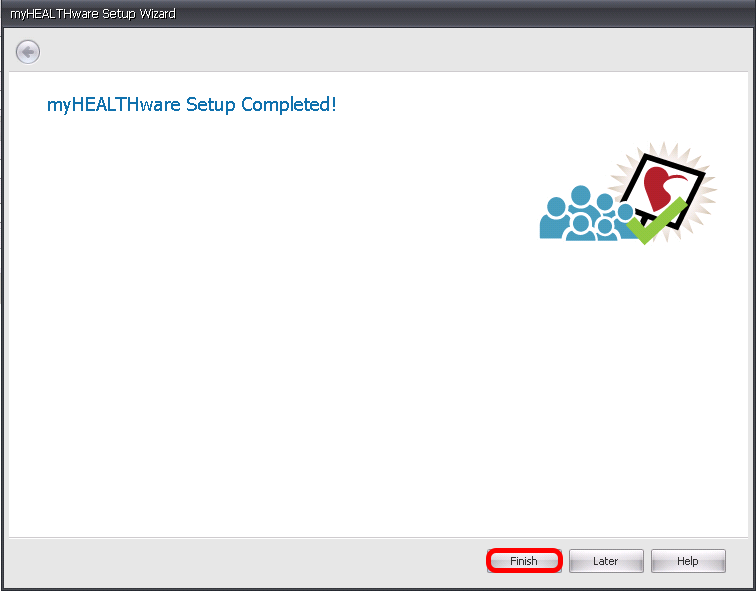 Your myHEALTHware account registration is now complete. Please return to SOAPware to complete the setup process. 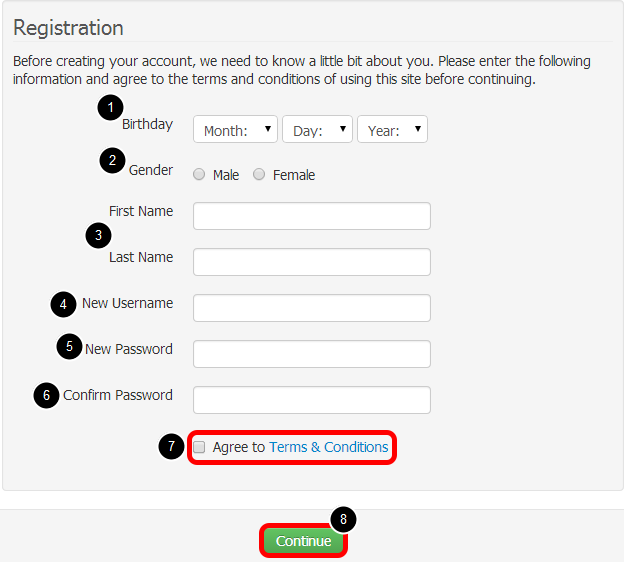 Enter the Username and Password that you created during your myHEALTHware registration. Click the Log In button. Congratulations! Your myHEALTHware account has now been created and is connected with your SOAPware account and the clinic's myHEALTHware organization. Click the Finish button to continue. 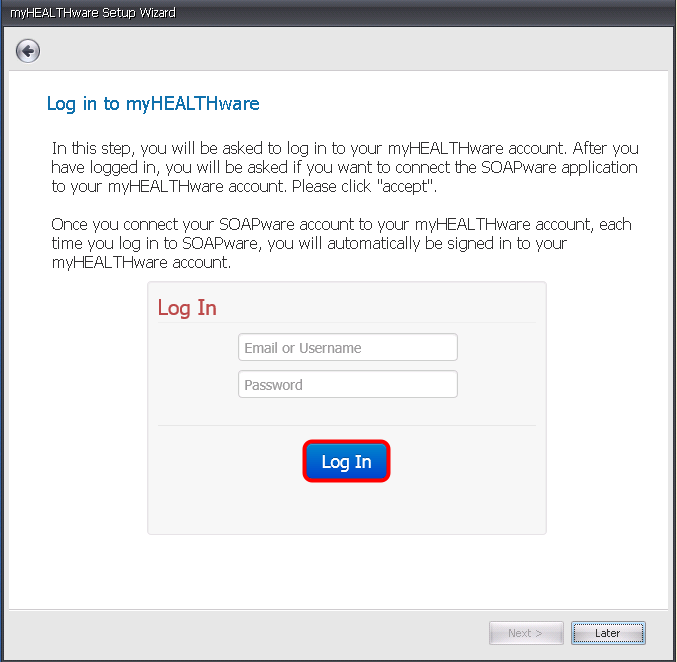 To access your myHEALTHware account from within SOAPware, go to Tools > myHEALTHware > Open. This window can be docked to any side of your SOAPware screen. For instructions on docking a window, please see: Dock a Tab. It is recommended that this window be docked to the top or bottom of the SOAPware screen.